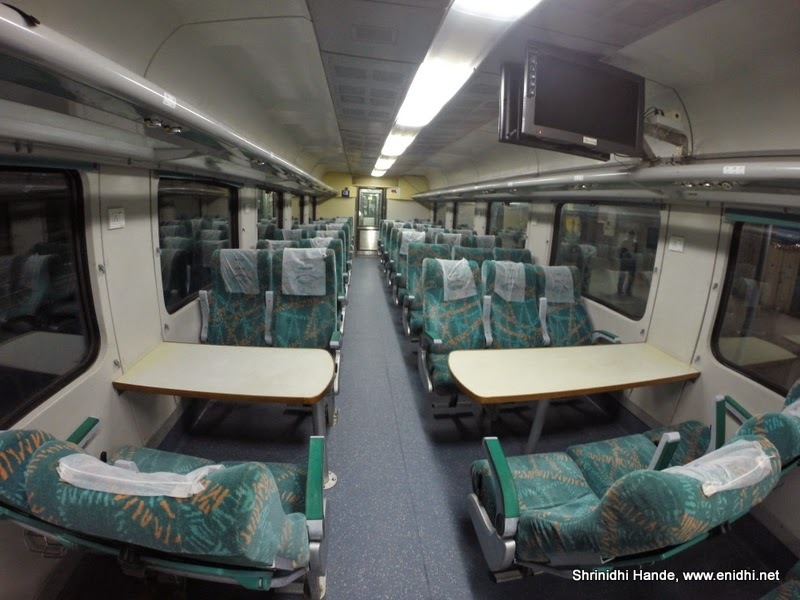 Railway fares have been hiked and there's been lot of debate on this topic last week. I am not adding to that, but simply wish to present my priority wishlist, for Mr Sadananda Gowda & Modi government to implement. 1. Set up an online complaint collection & resolution mechanism. There has to be a defined timeline within with a passenger complaints are addressed and where Railways is found to be deficient in service, suitable compensation is to be offered to passenger. 2. Work on hygiene and cleanliness. Once #1 of complaint mechanism is in place, target 50% drop in complaints related to hygiene and cleanliness within 6 months. It should drop to near zero within an year. 3. Modernize stations one by one. Most of the current stations are 50+ years old and aren’t equipped to handle the amount of passengers they are handling. Railway stations hold acres of prime real estate in all cities and hardly have one or two floors. Just the way how BMTC has upgraded its bus terminals in Bengaluru, railway stations can be upgraded into multi story complexes and revenue could be earned by running hotel rooms, parking areas and so on. 4. Introduce RORO service all across India, extend it to cars and buses as well. This will reduce burden on highways, reduce fuel consumption and risk of accidents. 5. Better law enforcement- In states where respect for the law is very poor, deploy armed personnel to tackle them. People without ticket, those with general class ticket entering reservation coaches, encroachment of berths/seats etc should be stopped, so that ticket paying passengers can travel peacefully. 6. Redesign double decker with better spacing and leg room- remove 15-20 seats per coach, increase space between two rows. This will get you more passengers and you won’t have to kill golden goose like Brindavan Express to fill double deckers. 7. Increase Tatkal duration from 24 hours to at least 4-5 days. If I need to make a weekend trip, I can’t book onward ticket on tatkal without knowing if I will get a tatkal ticket in return. 8. We don’t want IRCTC to help us with shopping, air tickets and dozen other things. Let it please focus on selling train tickets, in a reliable and efficient way. See how IRCTC can be made better. 9. Average speed of trains in India is very low- slower than inter city buses. Trains are capable of going much faster, so at least between metros we need more high speed trains. More than that, if we can have an additional track, then express trains can go much faster, without having to tail a goods train or passenger train. 10. Our coach design is half a century old. Can we rethink them? More fire safety, easier to maintain and more on comfort. A good wish list, if we do these, we are almost perfect. Increasing tatkal duration for 4-5 days may not be a good idea as they have very limited seats alloted under this category. After first one or two days there will be no tickets available at all. Someone with real emergency can take a shot if its one day in advance from the date of journey, this can be helpful for a traveller with real emergency than a weekend planner. Even I had some of these things in my mind. I don't think, we will be able to see all these things solved by our government. Well said ! I agree with them all ! Absolutely relevant points. Also, security needs improvement in many regions. We read in Malayalam newspapers about a lot of theft cases in Kerala bound trains (ex Delhi). Technophilo: ABsolutely. I'd love to load my car on the train, sleep all the night and get off the train fresh in the morning at my destination city and drive around. May be it could be sorted out in this new government. Let see what this new government do to make things better. This is really fantastic information provided by you. i am happy to see this helpful guide here because after this i can able to book my ticket. I agree to all that....nice blog...! !